Without aft tank: EOTZ 1443-D shows to be for 1980 on, but as there was another (E4TZ 1443-A) from 1983 on, I suspect that E0TZ-D was 1980 through 1982 only - and these are for F100's through F350's. 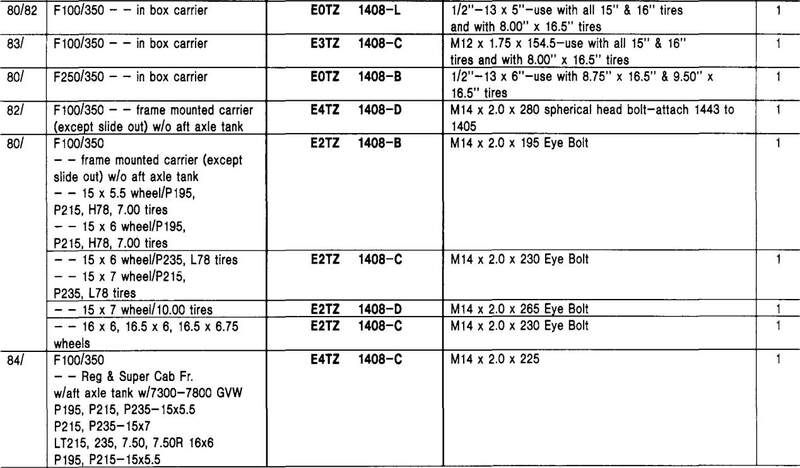 With aft tank: EOTZ 1443-C is for 1980 through 1982, and E4TZ 1443-B was used from 1983 through 1986 - and these are for F100's through F350's. ​One is marked E0TA-1448-FA. It is 47 1/4" long, including the 2" "handle" on the end, has hanger holes that are 42 3/4" c/c, and the flat area is 25 1/2" long. This is surely EOTZ 1443-C and is for the 1980 - 82 trucks of all sizes. And one final observation: Since it appears that in all three kinds of under-bed spare tire carriers there's one that is for 1980 - 82 and another from 1983 - 86, I'd bet that the holes locations in the frames changed between those two sets of years. 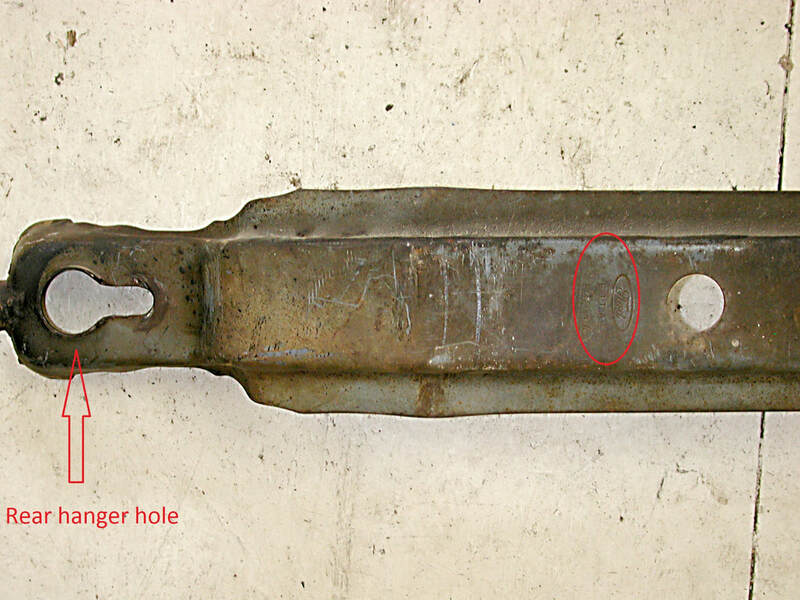 And that fits with the fact that the early aft-tank carrier has 42 3/4" center/center on the hanger bolts and the later carrier has 44" center/center. In other words, the early carrier won't fit on a later truck, and vice versa.